The fruits of my first attempt at font making. Told you I’d be busy. 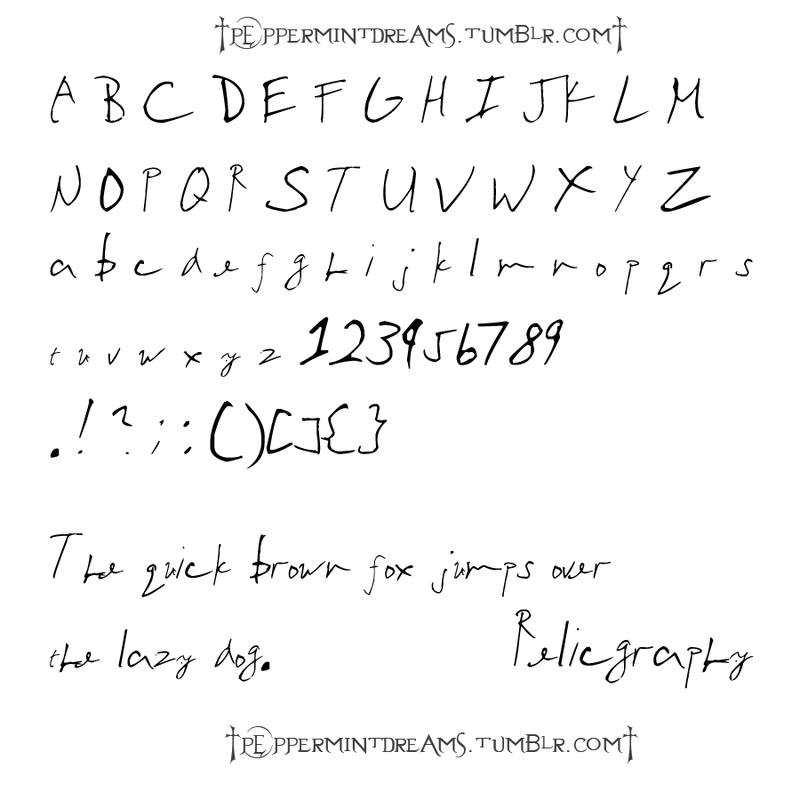 Well, this is the font I was working on. Technically, I just converted my friend’s handwritnig into a font, but I still had to fiddle with it to take out a few kinks here and there. But, thanks to High-Logic Font Creator, it was easier than I expected it would be. I also think it came out well. Version 1 of the Relicgraphy font. The more updated version has smoother lines, bigger glyphs, and adjusted spacings.